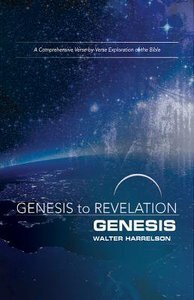 WALTER J. HARRELSON is Distinguished Professor of Hebrew Bible emeritus at Vanderbilt Divinity School. He recently retired as University Professor at Wake Forest University, Winston-Salem, North Carolina. He received his B.A. at The University of North Carolina and his M.Div. and Th.D. degrees from Union Theological Seminary, New York.